A major soil stabilization project from the viewpoint of an 80' working platform. 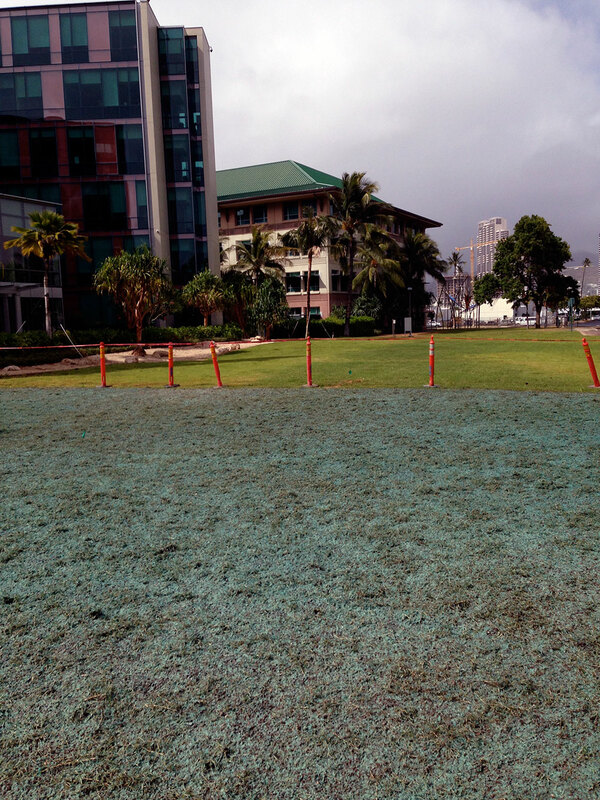 Hydroseed Hawaii has the ability to formulate site-specific solutions for severe conditions. Our techniques are often far cheaper than traditional methods of soil stabilization. Our expertise in working with binding agents, cementitious binders, polymers, and acrylics sets us apart from the competition. Let our experts solve your soil stabilization problems!